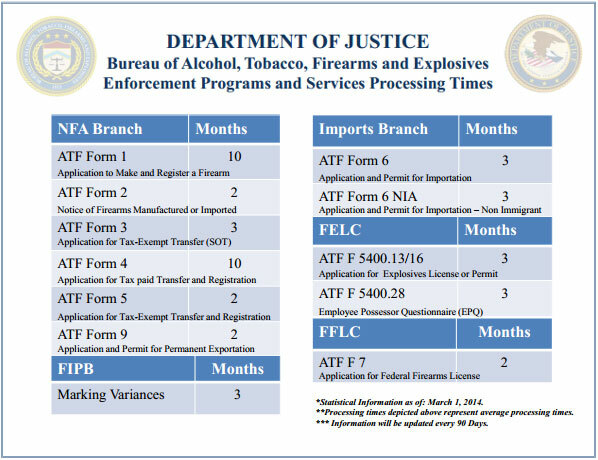 The Bureau of Alcohol, Tobacco, Firearms and Explosives, (ATF) Enforcement Programs and Services (EPS) Division has posted a new chart for its form-processing times, and the latest information is not good. NFA Forms 1 and 4 are now taking 10 months to process. Share the post "Hurry Up and Wait — ATF Taking More Time to Process Forms"